In the recent past technologically we have improved a lot in terms of building design but no matter how advanced the design of a building is, Mechanical equipments will contribute to objectionable vibration and vibration induced noise in buildings. The presence of sensitive, high tech equipments requires vibration control issues to be considered correctly. So this article will explain/guide you about selecting “right vibration isolator/mount for right equipment” for building services pipe-work and plant. 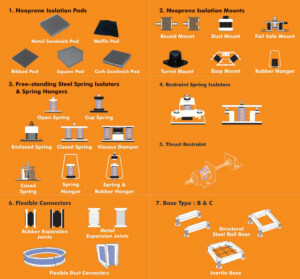 The following are introductory pages of pads, mounts and isolators. 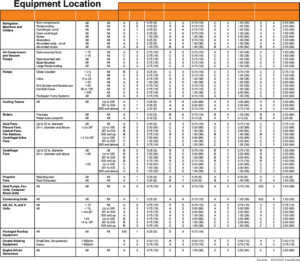 The aim is to provide a guide to choose & select right Isolator.